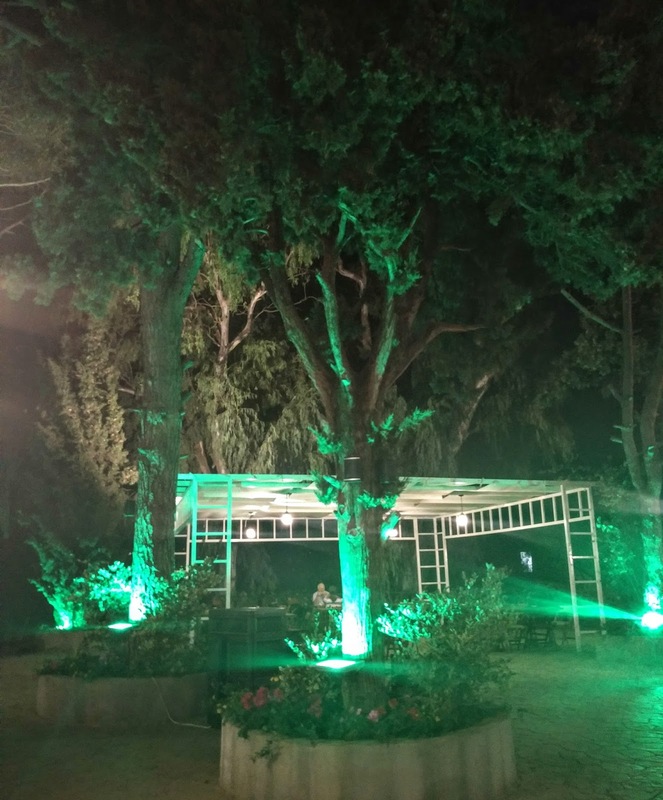 There is no question Broumana has become the nightlife destination of the summer. The revival of the once dormant Printania, thanks to its Garden and Villa, have helped usher in a steady stream of revelers. Down the street, a collection of pubs and restaurants draws in crowds, too, and Broumana is throbbing once more. For those who used to seek refuge in its tranquil mountains, despair not! Tucked away from the hoopla of the hustle and bustle up among residential buildings sits Broumana Hotel, which in recent years has gained notoriety for its uniquely themed bedrooms. The real attraction this summer, however, may very well be its newly opened Latifa Rustic Lounge. Set in a courtyard sufficiently spacious to accommodate a wedding reception, Latifa has multiple loosely-defined seating areas each covered by a white canopy. 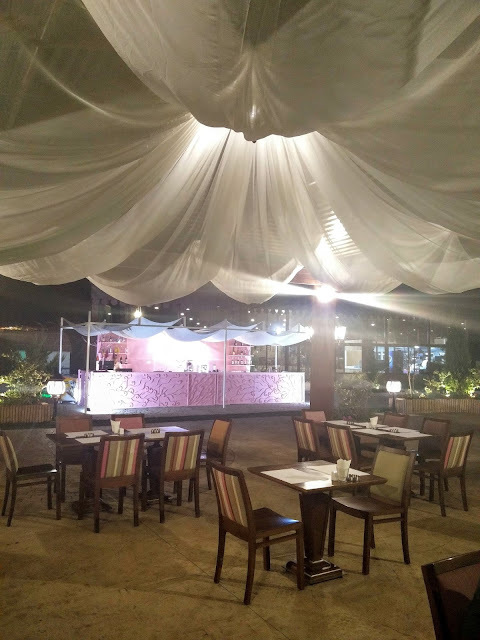 Guests will enjoy the al fresco atmosphere underscored by towering pine trees, soothing Indian music, an outdoor bar dressed in pink, and an open kitchen whose mixed cuisine will leave you spellbound. How cool is that pink-clad bar in the background! The executive chef hails from France, while his right hand is from North Lebanon. Put these two men’s cultural and culinary backgrounds together, and what do you get? Elements of Italian, French, Mediterranean and Zgherteweh cuisines emerge. 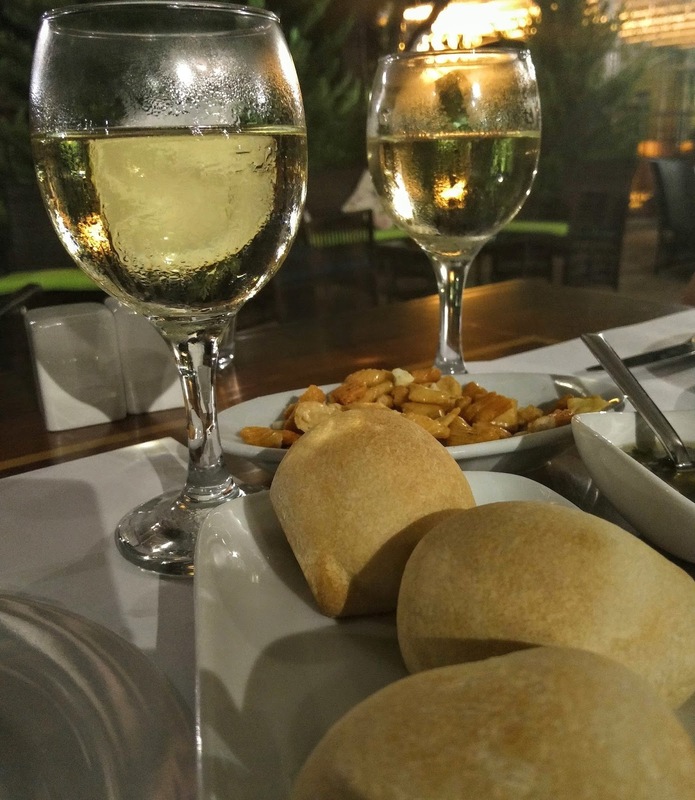 Minutes after being seated, our attention was held captive by the house bread rolls, dense-crumb spheres accompanied by a delectable herb-olive oil dip. Between each bite, a gulp of Ixsir blanc to wash it all down. The real meal launched with the “quarter mezza” sampler, a selection of six hot and cold amuse-bouches each with a unique spin: white cheese specked with black sesame seeds; gelatinous herb mashed potatoes; beetroot in lemon juice; savory pastries; spicy sausages; and kabob balls with cherries and cinnamon. 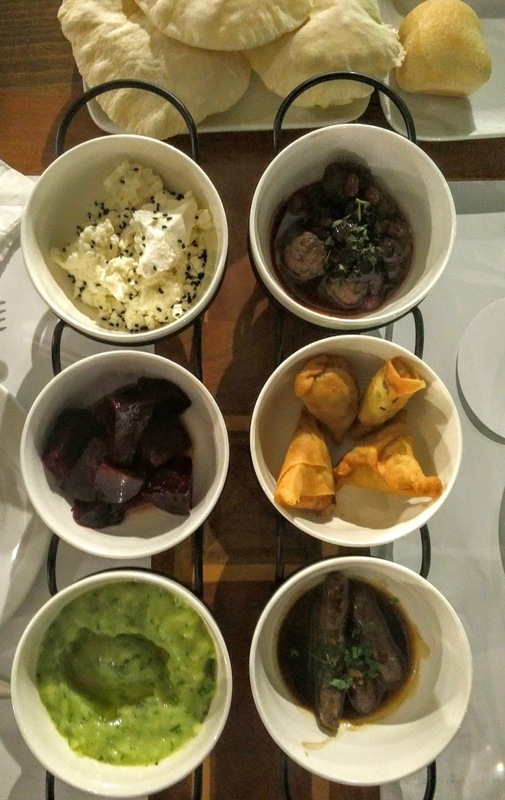 Flavors tickle the taste buds and tease the mind, especially as these mezza dishes, while somewhat recognizable, taste nothing like what you may be accustomed to. 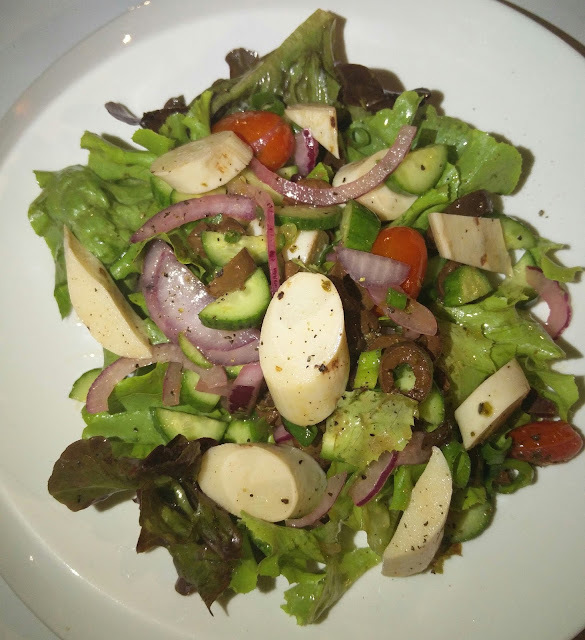 A fresh Mediterranean salad with red onions and grilled palmitos arrived next. Lemony and light, it did the job of purging the palate and renewing our appetites for the next course. Italy then descended upon our table in the form of a calzone lookalike. 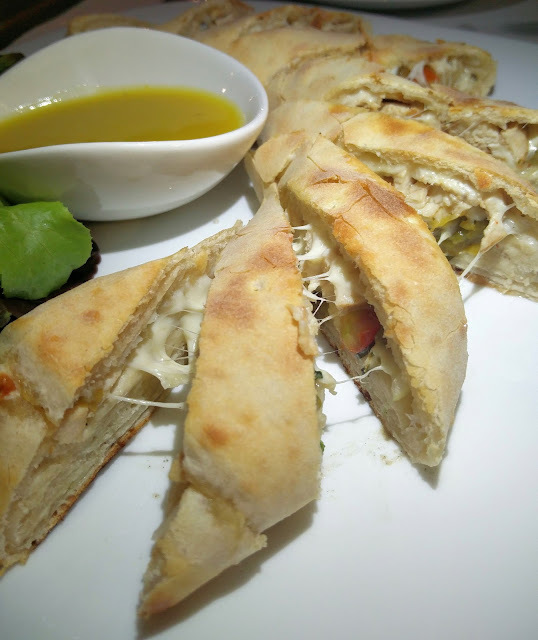 Panzerotto is a crescent-shaped turnover filled with chicken, mozzarella, capsicum, and celery. Borrowing the same dough used in the bread rolls and paired with honey mustard dressing, it is a feast for the senses. We took a detour back to Zgharta with the infamous grilled kibbeh forged into its characteristic smashed spherical shape. Run a knife through it, and liquefied fat will come gushing out. On the side, mint-cucumber raita and salad help moisten the coarse texture imparted by the kibbeh’s bourghol. 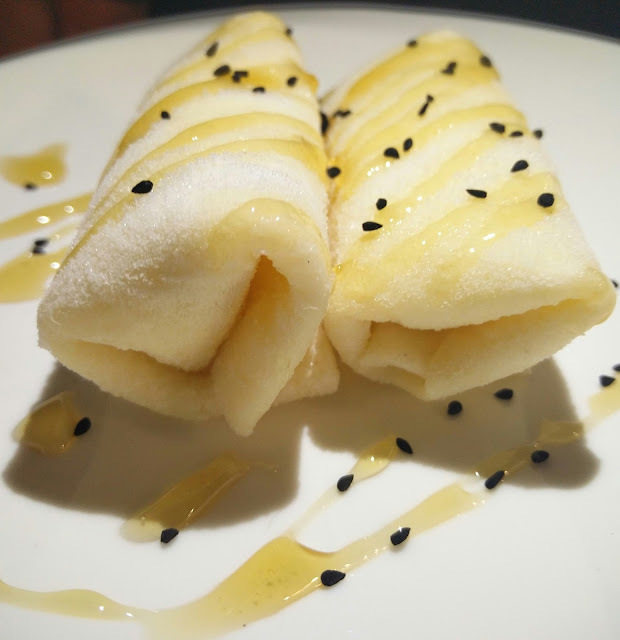 Only a refreshing dessert could do the trick at the point, so we were giddy to try the Halewet el Jeben stuffed with clotted ice cream (aka “ashta”) and drizzled with organic honey. Sublime. Latifa Rustic Lounge is a pretty loaded name, but in truth, the zen terrace embodies every part of its title. 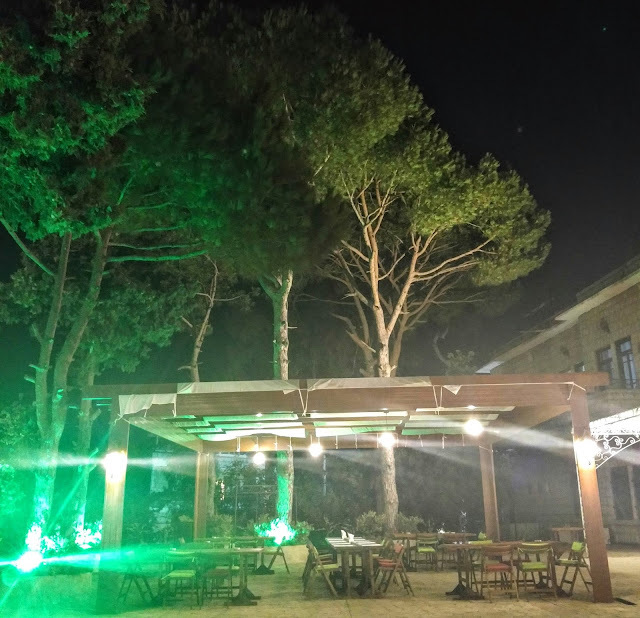 Doting hospitality, dishes sourced from the rural countryside, and an inviting woodsy experience make this a hidden gem in the heart of Broumana.